As a supplying hair extensions brand, MCSARA has over 4 years encounters as one of the greatest one in the market. We have transformed into a power brand with top quality hair extensions. Our hair extensions have being given to a large number of clients around the world. We have a diversity hair options that will be perfect for every client request. Our products are one of the customers’ first choices when they need to change their hairstyle or need an ideal treatment to their real natural hair. 26 inch weave hair extensions black color are a standout amongst the best approaches to improve the length of your locks. 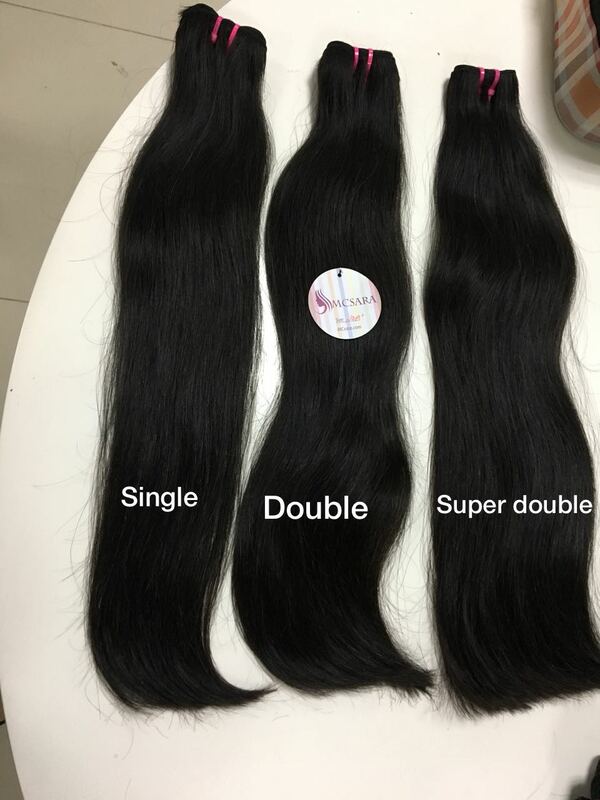 These hairs are made of the wellspring from 100% Vietnam Remy hair. Since making of natural Remy, the hair is cover with absolutely outside cuties that follow in same ways. These same direction cuties give the hair both shedding-free and tangle-free standard. At the same time, these hairs are also no harm to any human using purpose. With weave hair extensions from MCSARA, getting more hair choices will be easier just in a matter of seconds. These hairs are additionally made in any size of length. You can choose for short as 10 inch weave hair or longer as 32 inch weave hair extensions. Wearing the trending short styles or long straight is more possible. You will give your hair an incredible haircut as in smooth shinning state. By utilizing flat tip hair extensions, your hair can be more in an incredible and marvelous look.